This one is the direct follow up to Hyperdimension Neptunia U: Action unleashed, which I gushed about over here. 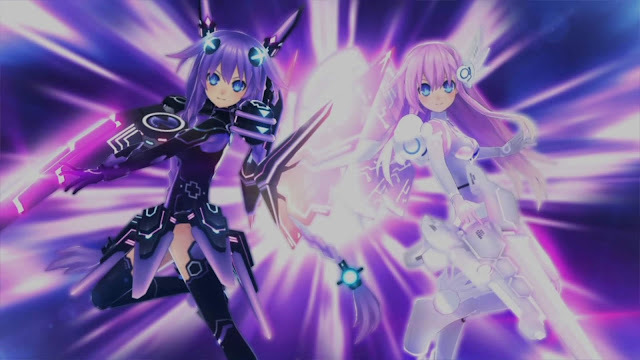 And in-line with all that is crazy with the Neptunia Series, I will give you a brief overview of the plot. This time "for some reason" the goddesses are highschool students. That reason being, schoolgirl outfits I'm sure... And in this school, there is a film club. In previous games Blanc has always been pegged with the trope of being a reader and being a creative writer. So, this outing, which is accredited to her, she is the film club "writer" and she narrates the "story" but this is not all, the film club is doing an amateur film about Zombies, at the same time as there is an actual Zombie outbreak at their school.